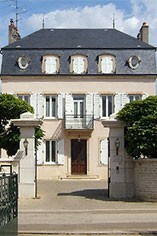 The Wine Advocate - Tasted blind at the annual Burgfest tasting in Beaune. 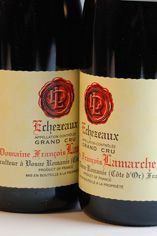 The 2012 Echzeaux Grand Cru from Domaine Franois Lamarche offers brambly red berry fruit on the nose, a little rustic but the oak is nicely integrated with a subtle marine influence that emerges with time. The palate is medium-bodied with fine tannin, not the most complex grand cru on the block, yet there is a sense of nonchalance and joie-de-vivre thanks to the freshness and tension bestowed on the finish. I would have just preferred the presence and substance of Etienne Grivot's Echzeaux 2012, nevertheless, I would still give it two or three years in bottle.